You'll wear the cool coral palette if you have warm lips that turn things hot magenta, orange, or yellow. You'll wear a warm coral palette if you can rock oranges without them looking distracting or super orange (they end up looking almost red). Questions? Let us know! 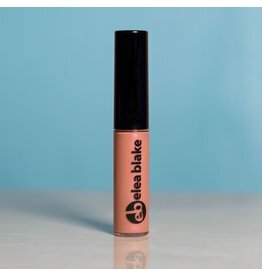 Life is peachy, at least when you wear this lipgloss color. A silver pink shimmer gives this lipgloss extra dimension and will have you sneaking a look in the mirror.